Helping you focus on your personal self-care and healing. Accomplish Change in Your Life! Want to focus on your personal self-care and healing? Time to Leave the Emotional Rollercoaster! Ray Manning & Aisling Killoran Can Help You! We are refreshingly down to earth. We love our work and are passionate about helping you. Life is becoming really busy and challenging and clients choose us in order to move out of feeling stressed, overwhelmed, worried and unwell so that they can spend more time feeling good, happy and positive. We are all about Positive Change & Transformation and will give you 100% of our time! With over 40K clinical hours and 30 years experience, Aisling & Ray have the perfect balance to help you change your life by targeting and transforming uncomfortable feelings and emotions, into positive feelings & emotions that you deserve to experience! Aisling and Ray, use proven techniques which are solution focused in helping you overcome; Stress, Anxiety, Fears, Phobias, Trauma, Fertility Issues, Pregnancy, Childbirth & Weight Loss, using Modern, Innovative & Affordable Techniques. Say Goodbye to Sleepless Nights! Symptoms of anxiety and fear can range from mild feelings of apprehension to a full-blown panic attack. Anxiety Attacks, Fears & Phobias are treatable! Life events, Family worries, Loss of a loved one, Job Stress, Conflict in relationships or daily stress provoking situations can play on our emotional and physical health. Stress FREE Employees Equals Less Sick Days! Transforming STRESS to Resilience.Increasing Productivity and Performance. Accumulated stress can play a key factor in sleeplessness. Reduce stress, reset your response to stress. Enjoy better sleep and improve your life. 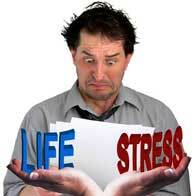 90% Of Stress Can Be Related To ALL Illness! "It's Not Stress That Kills Us; It Is Our Reaction To It"